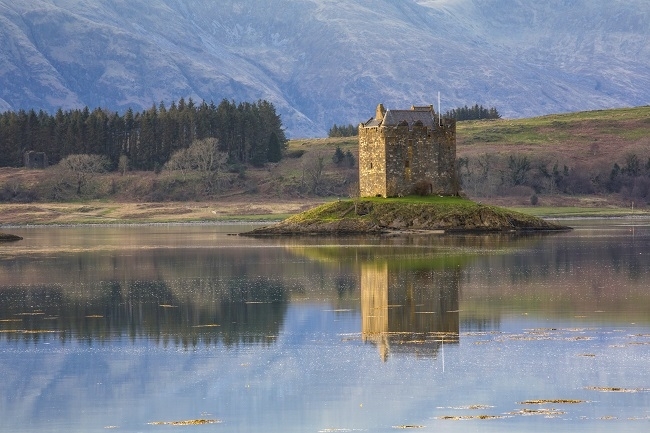 Roam Around Scotland – The Great Canadian Travel Co.
Roam around the highlands, seashores and loughs of Scotland on this self-drive tour which features visits to Glasgow or Edinburgh, Oban, Isle of Skye, Inverness, Perth and Fife areas. You decide the driving route, we provide the vehicle and accommodation nightly. We have used a sub-compact, automatic transmission vehicle in our lead-in prices shown above. Other car categories are available on request offering larger vehicles including SUV, van or luxury Mercedes. Upgrade vehicle choices include Compact: Intermediate; Van (7 seater); SUV (5 seater); Mercedes C Class; Mercedes E Class. All vehicles come with automatic transmission. Should you prefer a manual transmission we can provide you with a revised price on request. Prices are shown in US$, per person based on two people sharing a twin room and one person in a single room. The US$ rates are approximate rates based on the conversion from British pounds at time of posting. Actual tour prices may vary from prices posted, depending on the bank exchange rates at the time of your reservation. 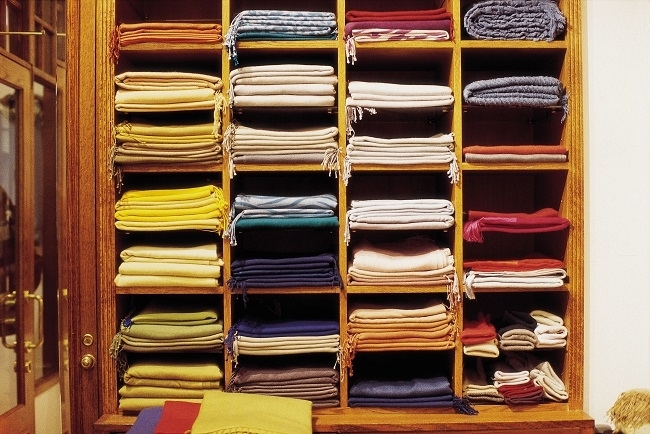 CA$ prices are also available. Please inquire. Arrive Edinburgh or Glasgow and collect your rental car. 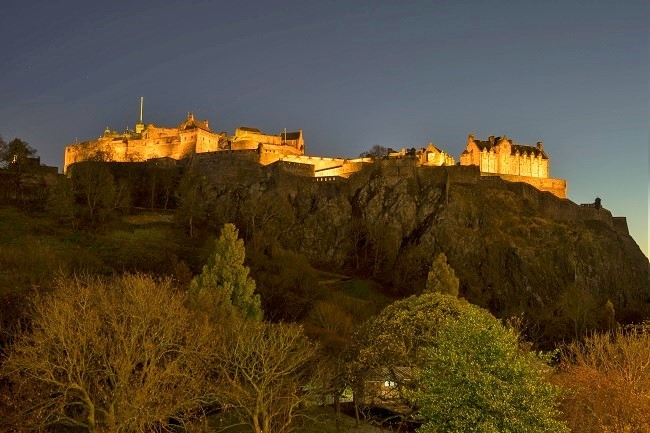 Travel into Edinburgh and use your Scottish Heritage Pass to enjoy a visit of Edinburgh Castle or the other Historic Scotland and National Trust properties and attractions. Or, take a panoramic city tour by bus to get a lay of the land, maybe even dare a ghost tour down in the Blair Vaults in the evening, topped off by a dram or two. Overnight in Edinburgh area. Head north along Loch Lomond stopping off at Luss to visit this pretty little village on the banks of the loch. 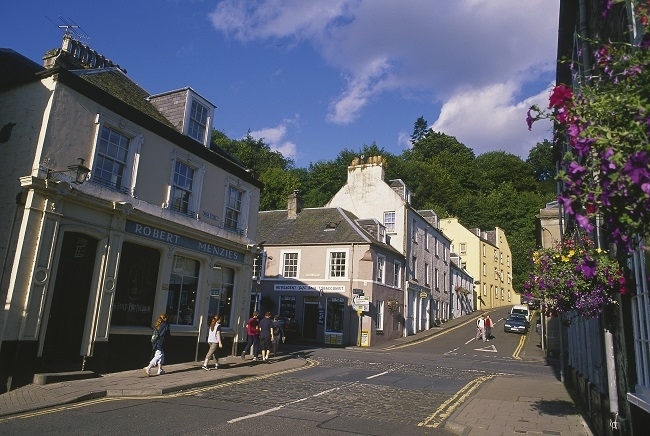 Continue west with the option of stopping for lunch at the Loch Fyne Oyster Bar to enjoy some of the fresh produce before heading through Inveraray, where you can visit the castle and jail. Continue north to Oban spending time in Kilmartin Glen experiencing the Neolithic and Bronze Age chambered and round cairns, stone circles and rock carvings. Visit Dunadd Fort the ancient capital of Scotland then known as Dalriada, which encompassed the northwest area of Scotland and Ulter, now in Northern Ireland. Overnight Oban area. Today spend the day exploring Mull and Iona either by car or enjoy the sites from the sea on a boat tour. 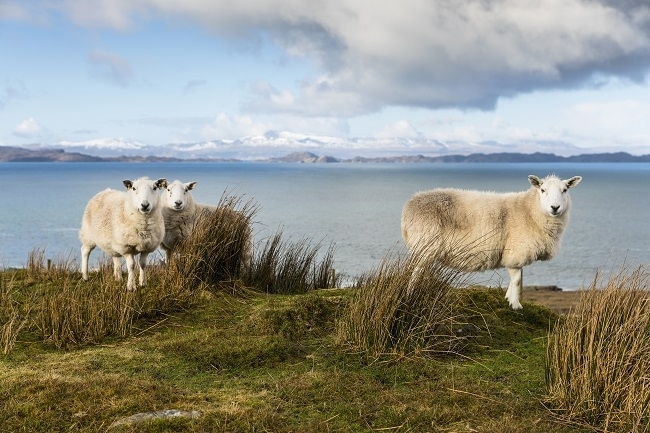 The tour leaves from Oban Harbour, visits Mull, Iona and Staffa, and is renowned as one of the best day tours in the UK, providing a scenic route through these beautiful islands. The Isle of Iona where St. Columba landed in 563 and brought Christianity to Scotland from Ireland. You can also visit the famous abbey founded by St. Columba before you continue on to the uninhabited Island of Staffa. Staffa is famous for its basaltic formations, the best know of which is Fingals Cave, immortalized in Mendelssohn’s Hebridean Overture. Return to your overnight in Oban area. Today continue north from Oban through Glencoe with its spectacular landscape and on to Fort William set in the shadow of Ben Nevis, Britain’s highest mountain. 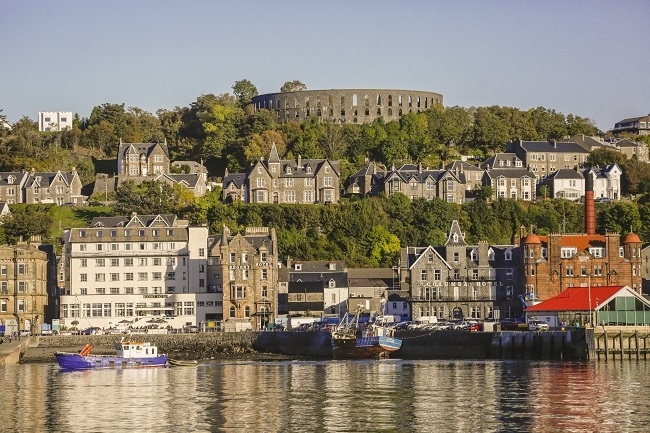 Take the road to Mallaig to enjoy the short ferry over to Skye or continue on the road to Kyle and take the bridge over to Skye, the largest and most scenic of the Hebridean Islands. Overnight on Isle of Skye. Enjoy a full day on the Isle of Skye. Head south towards the Cuillin Hills, the island’s best-known feature. Though their tops are places only for experienced climbers, there are many viewpoints and island locations where excellent panoramas can be enjoyed. Head back to your accommodation via Glenbrittle and the famous Fairy Pools – beautifully crystal clear blue pools on the River Brittle, these make for some fabulous photos. Head east today for the Inverness area, meandering gently along shores of Loch Lochy and Loch Ness via Urquhart Castle, which dates back to the 12 century and was originally built to guard the route through the glen! 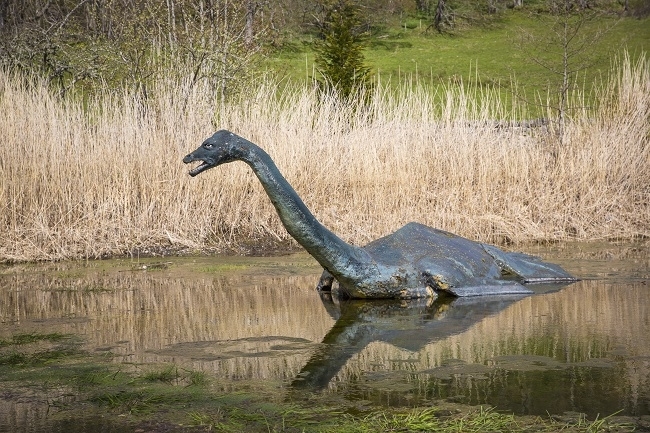 Why not take a cruise on Loch Ness, and search for Nessie, the loch’s famous, illusive monster. Overnight in the Inverness area. Today travel east of Inverness where you can visit the Battlefield of Culloden, where the tragic battle of the Jacobite’s and British loyalists took place. On to Clava Cairns, which date back to the 3rd millennium BC, consists of burial chambers that are made up of three impressive round chambered cairns surrounded by a ring of stones. 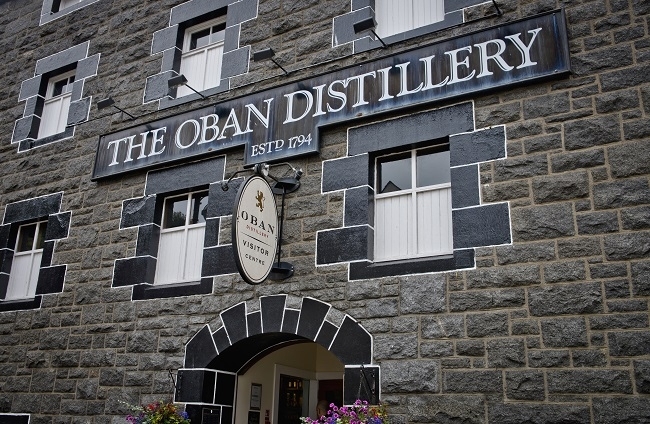 Taking the Speyside route to explore some of the Malt Whisky Trail. The Speyside area is home to more than half of all the country’s distilleries plus the coopers who repair the oak casks each year. Continue towards Perthshire through Braemar and Royal Deeside, passing by Balmoral Castle, the Queen Elizabeth’s highland residence and its Crathie Church, before heading through the ski area of Glenshee. Continue south towards Perth/Fife where you will overnight. Today, if time permits, visit St. Andrews, named after Scotland’s patron saint. Visit the impressive ruins of the cathedral, once the most magnificent in the country and St. Andrews Castle where visitors can wander through damp, mossy tunnels to the dungeons. St. Andrews is also the famous home of golf, played on the Old Course since the 15th century. Continue along the coast via the small fishing villages of Elie and Pitenweem. Cross the Forth Road Bridge with its spectacular views of the Firth of Forth and of the newly awarded UNESCO World Heritage Site, the Forth Rail Bridge, before returning your car to Edinburgh or Glasgow airport and joining your flight home. If you pick up your rental car in Glasgow and drop it off in Edinburgh or vice versa and additional one-way fee will be added to your program. 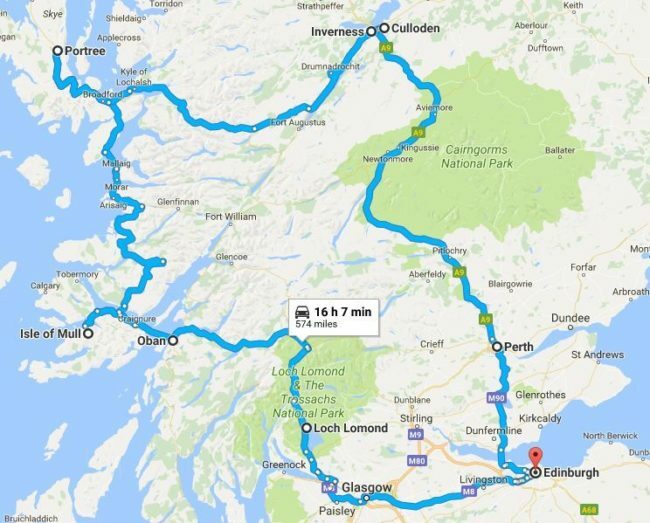 We can arrange for you to spend time in either Edinburgh or Glasgow before or after your driving tour, which we highly recommend. Please inquire for options. credit card in the driver’s name are also required at the time of rental.